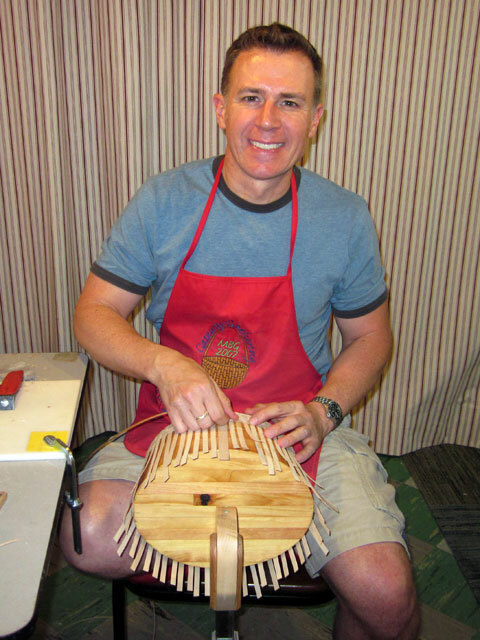 I can't believe how time has flown and it has already been a couple weeks since Eric Taylor was here in St. Louis leading four wonderful classes. 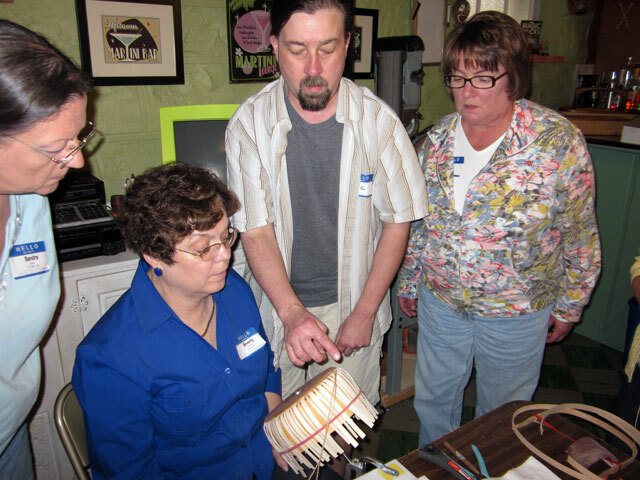 Eighteen people participated in the workshop and 48 baskets were woven over 4 fun-filled days. 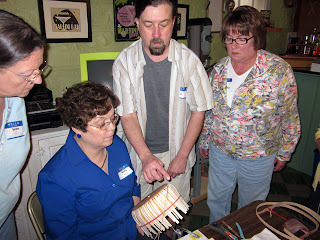 Eric brought lots of kits and molds and made a lot of weavers very happy. I picked up one kit and mold that I am going to be starting here soon. Eric definitely went home with a lighter load. 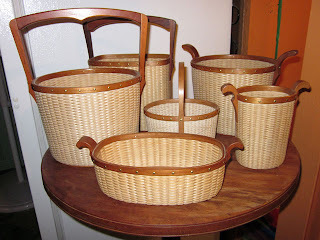 One of the baskets we made was a small 3" x 2.5" basket. It looked really difficult, but was surprisingly easy to weave. I always think minis are going to be hard to make, but they are so easy and quick to make. Everyone did really well and went home with a cute little addition to their collection. Eric starts his baskets in a way I hadn't tried before. 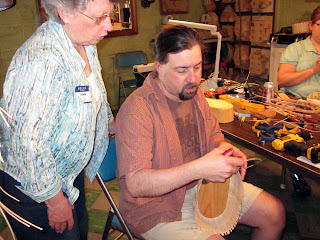 Eric gives lots of hands-on help with the baskets. Just a few of Eric's many interesting handle and basket designs. 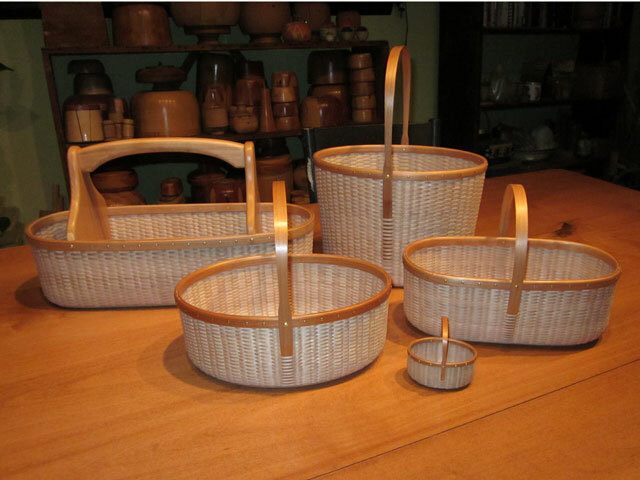 The five baskets I made during the workshop.